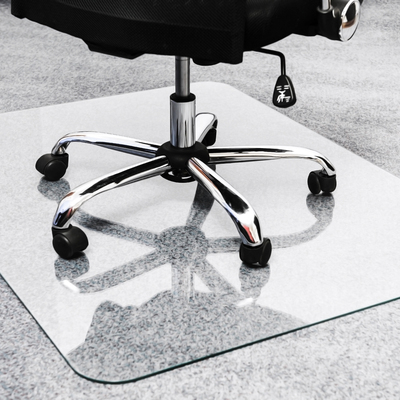 Glass Chairmat Provides An Added Touch Of Class To Floor Protection. Crystal-Clear, Reinforced Glass Construction Is Capable Of Supporting Weights Of Up To 1,000 Lb. Polished Edges And Radius Corners Create An Elegant Finish To Match Any Home Or Office Decor. Ultra-Tough, Perfectly Flat Surface Offers Easy-Glide Ergonomic Benefits. Versatile Design Protects Both Hard Floors And All Pile Carpets. More From The Manufacturer.